Autumn is on the way - so let's enjoy the last days of Summer with some great events in Warburton. (quick note first - for anyone whowas Warburton Up & Running Fun Run two weeks ago - the results have been posted. But now hang on to your aura! - the buzz is in the hills - it's here this weekend! - Harmony fest! Harmony Festival 2012 is a joyous five day celebration of harmony, community, spiritual diversity and development! 2012 marks the fourth year of celebrating the Harmony Festival and this year the festival promises to emulate the success of its predecessors. Fancy an Australian tennis competition Upper Yarra Valley style? The Warby Cup is now in its 4th year. At the Tennis Club on the left as you come in to town. Mark your diary for Easter in Warburton. Easter Bunny (April 7th), Easter Eggs (BYO) and a free afternoon of Easter Music from Ruckus and Yarra Valley Banned (April 8th). This annual fundraiser at the Warburton Caravan Park will aid 'Ted's Tracks' and Yarra Valley FM - so I am sure a gold coin or two will be gratefully received - while you have a great time. Visitors to Warburton can contact a whole range of local accommodation businesses, book accommodation online or contact the growing number of great Warburton cafes and food outlets ready to serve you. Warburton Highway Tourism phone 03 5966 9600. Do you have a local event? It is too late to tell us AFTER we have sent this monthly email! 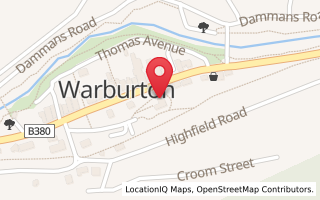 So add your event details NOW or as soon as you can on the WarburtonInfo noticeboard - we will pick things up from there and help you promote your event in April. JUST like Warburton Primary School has! Did you know the building works have finally finished? Well almost, tidy up is under way. Ribbon cutting is next week Tuesday March 13th - community and school members welcome to come down and see how good the school is looking. Phone the school 03 5966 2010 for details - or just come along 5.30pm- 6pm for the big event.